A big part of situational awareness is knowing the bandwidth of your measurement system. This is an important metric to compare with the bandwidth of your DUT’s signal so you know what is real and what might be a potential measurement artifact. It’s not just the bandwidth of the scope you need to know, it is also the impact of the probes attached and the instrument settings. Generally, measuring the system bandwidth is difficult. It has to be done insitu. 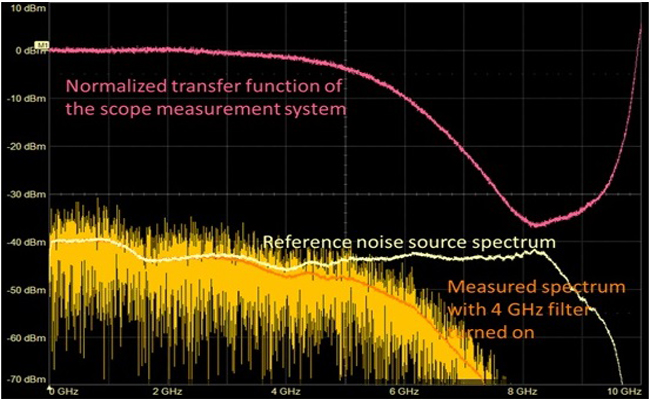 In this webinar, we’ll see a simple, straightforward way of quickly measuring the system bandwidth using a Noisecom wideband white noise source. With this method, we’ll look at the bandwidths of both the oscilloscope and of passive probes like a 10x probe, coax cables, and active probes. The results will surprise you!